Donald Ray Pollock’s novel “The Heavenly Table” tells the outlandish story of three brothers who embark on a ghoulish crime spree in the early years of the 20th century. 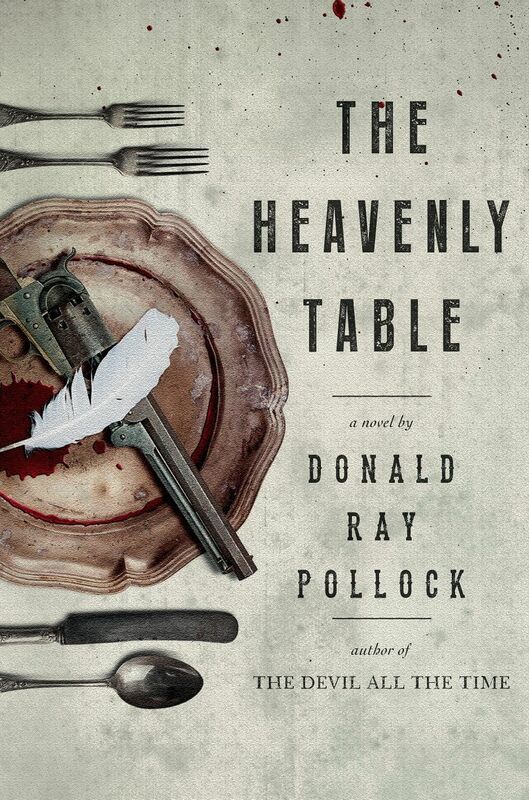 Pollock discusses his book Monday, July 25, at Seattle’s Elliott Bay Book Co.
There’s just no way to emerge unsullied and unscathed from Donald Ray Pollock’s Southern Gothic outlaw tale “The Heavenly Table” (Doubleday, 365 pp., $27.95). Readers venturing into this grim territory, out beyond Cormac McCarthy and Patrick DeWitt, in the bizarre vicinity of Harry Crews’ manic intensity and the depraved noir of Jim Thompson, are apt to be startled and disturbed by what they witness, and not least of all by the sound of their own laughter. Fatefully, they reject the former, taking the latter as their career guide. Stumbling into a desultory crime spree, the trio head north by horseback to Canada, pursued by swelling ranks of bounty hunters lured on by the brothers’ growing reputation for infamy, mostly spurious. The author of “The Heavenly Table” will appear at 7 p.m. Monday, July 25, at Seattle’s Elliott Bay Book Co.; free (206-624-6600 or elliottbaybook.com). In their path lies Southern Ohio and the farm of Ellsworth and Eula Fiddler, and their wastrel son Eddie. Ellsworth and Eula think Eddie has run away to join the U.S. Army, but he can more reliably be found haunting the outskirts of “The Celestial Harem of Earthly Delights,” more commonly known as the “Whore Barn,” swiftly erected to service the nearby army-training camp. Other local luminaries include the freakishly over-endowed Jasper Cone, an official outhouse inspector who knows all the dirt; Army Lieutenant Vincent Bovard, a closeted homosexual intent on achieving a glorious death with his men in the trenches; and Frank Pollard, a barkeeper with a sideline in sadistic murder that would give Sweeney Todd a run for his money. The first murder doesn’t happen until almost a quarter of the way into the book, but after that Pollock makes up for lost time, splattering blood and brains with Grand Guignol invention and a studied casualness that is both distancing and disconcerting. By the time an African-American dandy named Sugar strolls onto the scene halfway through the book, the reader almost wants to wave him off. Don’t join this narrative; it isn’t safe here! While this unpredictable menace drives the story, it is in the vividness of Pollock’s descriptions of sordidness and depravity that his dark genius shines. No stone is left unturned, and under each and every stone something nasty squirms or scurries away from the light. Pollock varies haunting details such as the ghosts of massacred mulattoes singing in the trees with grotesque flourishes, such as Pearl Jewett’s pillow stuffed with the dried tapeworm that dispatched his wife. All of this is leavened by brilliant turns of phrase, profane jokes and folksy aphorisms, resulting in a kind of irresistible vision of a foolish, fallen world. While some readers will feel that Pollock goes too far, others will find him very much in step with the times. David Wright is a librarian at the downtown branch of the Seattle Public Library, where he presents the noon hour “Thrilling Tales: A Storytime for Grownups,” two Mondays each month.